Owing to Professor Wanqin Jin’s invitation, specially-appointed Professor and doctoral supervisor Cui Yong from Shanghai Jiaotong University came visited our lab. Doctoral students from our group presented the related work on oxygen permeable membrane, pervaporation membrane, membrane reactor and MOFs membrane. Professor Cui showed that he was interested in our work and hoped that we will cooperate afterwards. Professor Cui Yong delivered a wonderful report in the Lecture Hall A506 on the day afternoon. His report title was “Design, Assembling and Asymmetric Catalysis and Separation of Chiral Molecular Material”. The report meeting was hosted by Professor Wanqin Jin, Executive Deputy Director of National Key Laboratory of Material and Chemistry. 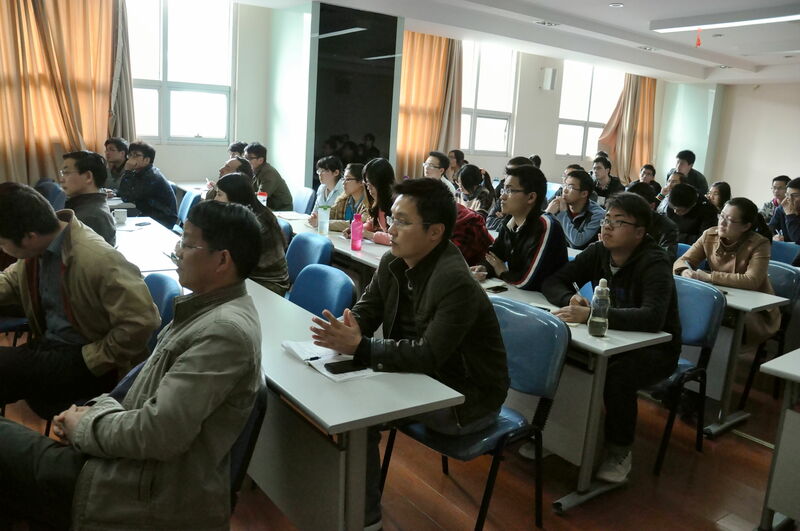 Teacher and students attended the meeting whose research is related to Professor Cui’s report. 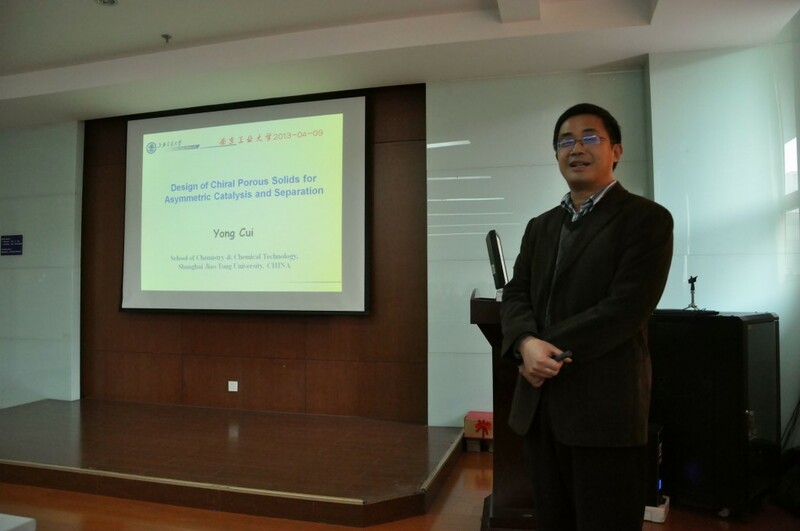 Professor Cui’s report covered the research work on design, assembling and asymmetric catalysis and separation of chiral molecular material. He mainly introduced identification differences of the same chiral material in liquor and solid and improved chiral separation performance by increasing the activity sites of chiral material to strengthen the interaction force between subjective and objective bodies. Besides, he presented the feasibility research on homogeneous catalysis of chiral porous solid. During the report process, he also told us facts about his students’ efforts to do research and spirit of innovation. Attendees were impressed by his excellent presentation and vivid description.